Three Texas basketball players turned in career-best performances to help lead the Longhorns past No. 16 TCU in double overtime, but the focus of the night was guard Andrew Jones, who has been diagnosed with leukemia (photo courtesy of texassports.com). AUSTIN, Texas — This was a game that Texas was not going to lose. But for a while in each of two overtime periods, it looked like the Longhorns might fall. 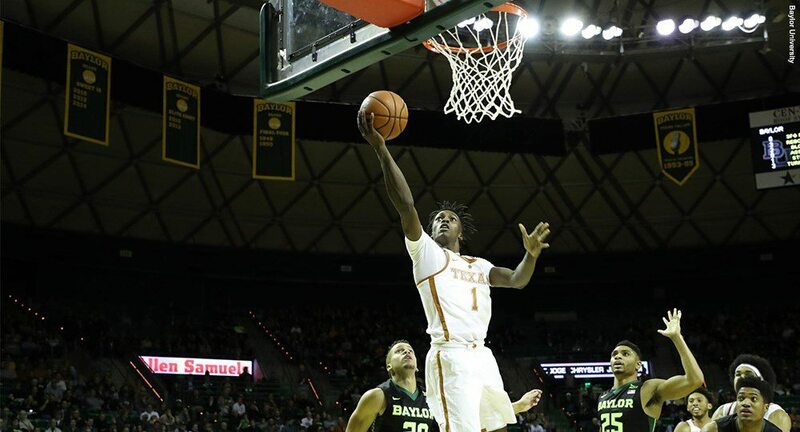 Then Dylan Osetkowski happened, and Eric Davis, Jr., happened, and Matt Coleman happened for the Longhorns ... and — although he was not in the building — Andrew Jones might have happened.